Only 10 percent of our patients take advantage of their full Medicare hospice benefit. The Medicare hospice benefit includes ALL medical care, equipment, medications and visits related to the diagnosis. Because many patients are unaware of available funding, we go the extra mile to help ensure you’re getting the most out of your hospice benefit. 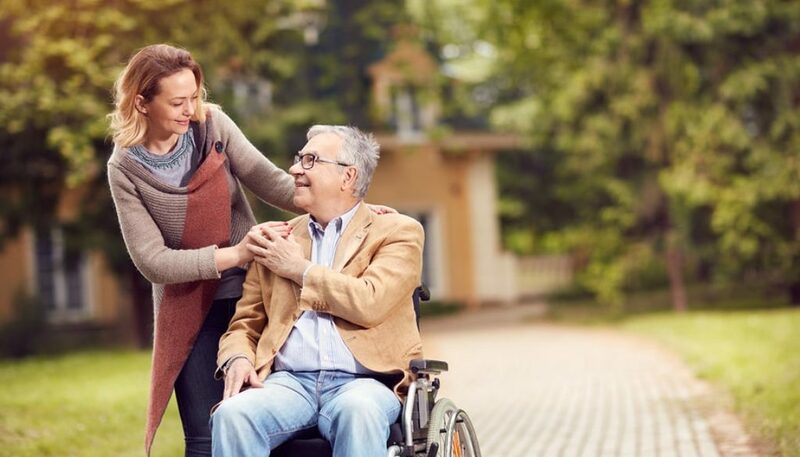 When you receive care from Lower Cape Fear Hospice, you are assigned a social worker who will work closely with you to help you maneuver through the often confusing waters of health care. Anyone can refer a patient to hospice—even the patient themselves. We treat our patients with the care, concern and dignity that we would if they were members of our own family. We understanding that caring for a hospice patient also means helping the entire family, and that’s why we offer excellence in a wide scope of care, ranging from pain control to assisting with activities of daily living. We are the area’s longest-operating nonprofit hospice. Our Foundation enables us to offer care to anyone in need, regardless of their ability to pay. We care for more than 6,000 families each year. We are the only area hospice that has full-time physicians on staff. Our clinical staff members have earned additional certification in hospice care and palliative care. Patients have access to care workers 24/7 to address any critical situations that may arise. An on-call hospice nurse responds to each call. See how we compare to other hospices in our area at Medicare @ Hospice Compare website. No other hospice provider in the region offers the level of care demonstrated by our inpatient hospice care centers. 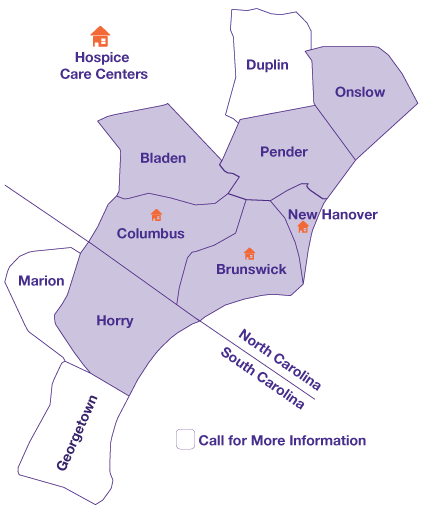 These three centers are centrally located in Wilmington, Whiteville and Bolivia and are available exclusively to Lower Cape Fear Hospice patients. “We want our patients to experience the best type of care with all the extras that we can provide for them to make their journey easier,” said Gwen Whitley, President and CEO. We’re not just experts in navigating Medicare benefits—we serve as an educational resource for the community, offering seminars, grief support groups and other programs. If you aren’t sure if someone you love needs hospice care, we invite you to take this online assessment. Don’t wait. Many of our families tell us they wish they had contacted hospice sooner.